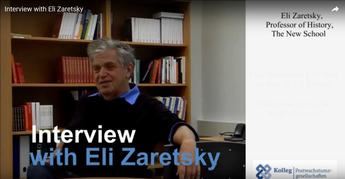 Interview with Eli Zaretsky during his stay at the "Kolleg Postwachstumsgesellschaften" in Jena 2016. Where austerity, recession and ‘regressive recovery’ occur, the experience of economic crisis is as a crisis of social reproduction, a crisis in the reproduction of livelihood. This crisis is both gendered and racialised in just who picks up the tab for cuts to social services or a rise in unemployment. Given the contradiction between capital’s reliance on the reproduction of labour power on the one hand, and its propensity to externalise the cost of this reproduction on the other, any particular social organisation of reproduction is shaped by struggle.